In The Eyes Of The Beholder: Thank you for calling!!! I am still amazed on how my job works. I get to talk to people from the United States, helping them with their Internet issues. The job is pretty tough. Most customers call and expect us to provide excellent service and would be able to resolve their issues. If we were not able to come up with a resolution, we have to be prepared on what they would say. Some were able to understand that the problem is not on our end but a particular software or program on their computers and would be thankful because we were able to diagnose the cause of the problem. Some are ungrateful and take the blame on us for messing up their computers. Some do that because they don't want to pay for calling somebody else to fix their computer problems. As technical support agents, part of our job is to please our customers. If customers cuss, we say "I apologize" or " I'm really sorry you feel that way". We always have to empathize with them. We should be on our best manners as much as possible. We have to control our tempers or else we get fired. We always have to be pleasant. When we are about to burst out our temper, we automatically look for the mute button and let out our anger. You will hear some agents throw their mouse or murmur because of desperation. Most of us just have to let go of that anger or we'll go crazy. At lunch time with friends, most of us will talk about our calls and make silly jokes out of them. This is how stressful our job is. So to those who think that we have the most convenient kind of job just because we have our butts stuck on a chair the whole shift, you're wrong! Especially with technical account like ours, we actually drain our brains out just to have the customer's issues fixed. I am not complaining. I am even thankful. Because of this job, I enjoy earning better salary. I have enough for myself and can even send some to my family. I don't have to think about going abroad and take my chances there. I am grateful that big companies from U.S. decided to outsource and gave many unemployed citizens here in the Philippines a decent job. If not for them, a lot of Filipinos would still be jobless. I am lucky that I was one of the many who was able to work in this industry. I am actually not just lucky. I'm blessed. This post reminded me of a friend who some kind of maligned the people working in the industry that you belong in. 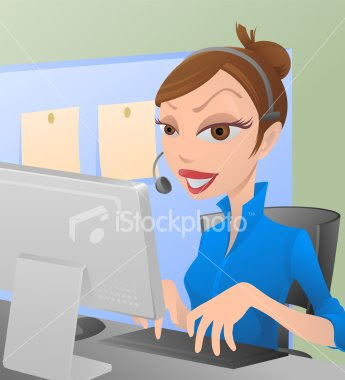 She "thinks" that call center agents has no room for progress. What can you say to that? Hehe! I 've expressed my disagreement in this post: TO EACH HIS OWN. At least with this post, people will get to understand that this job isn't for everyone. Your salary isn't served on a silver platter, you've got to work hard for all it's worth. Being a call ceneter agent, one must have rare qualities such as being articulate, you have to be quick at decision-making, etc. Not all are endowed with these qualities and for that, I'm super proud of you my pretty cousin! Sa walay pabor-pabor, hahaha! 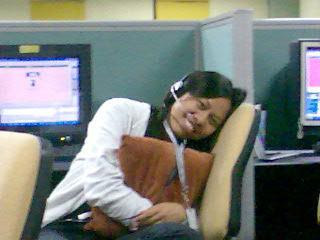 Oh how I remember the call center days. I didn't work tech support but in a credit card banking situation. Each call being different, and each customer a different personality.